More testing. Different weather as the season shifts toward winter, wide lens and new props. 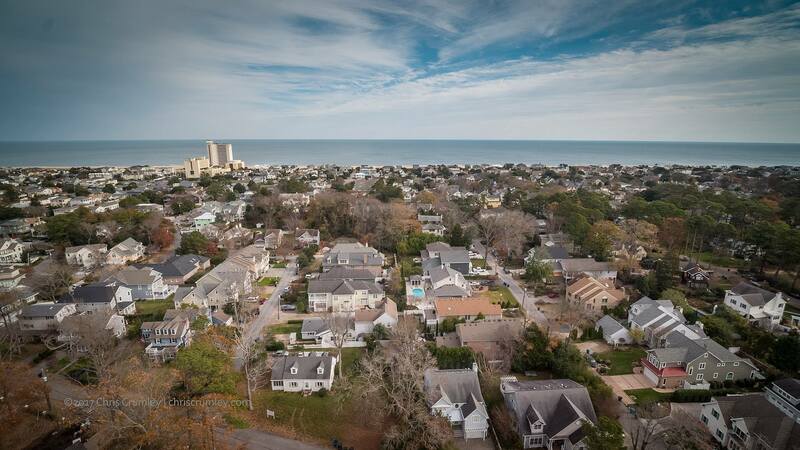 Center of picture is between 53 and 54th Streets, Virginia Beach, North End near Crystal Lake looking East. Tech: DJI Inspire 2 with folding props (like M600), X5S gimbal/camera, LAOWA 7.5mm f2 lens (very wide and very sharp) at 200' AGL.